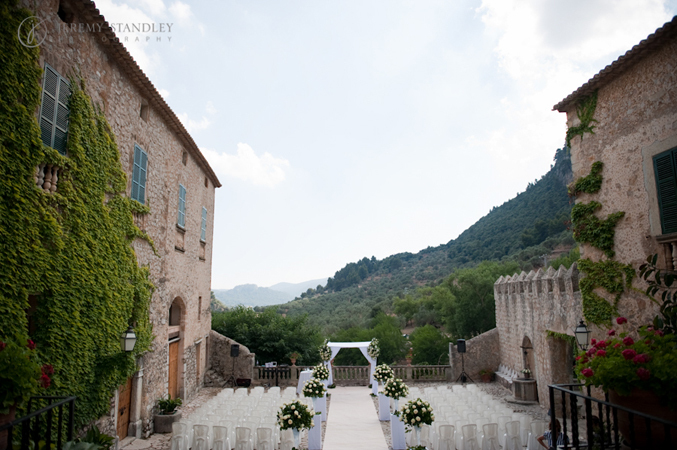 Have you ever thought about having your wedding in Spain and if so wondered where to start? To introduce our company; we are Sunshine Weddings Spain and are wedding planners in Spain located in Mallorca, Barcelona & southern Spain with an office also in London. We believe the most important part of any wedding planning process is choosing your wedding venue in Spain, and with an abundance of venues in all three wedding destinations in Spain; Barcelona, Mallorca & southern Spain, the best way to get a feel for the area, location and setting is to fly over and see the venues. As wedding planers in Spain we understand that each bride and groom’s ideal wedding venue in Spain is different if the venue exists then we will find it! The process will begin with a member of the team who, once they have your requirements, will send you details of wedding venues. These requirements will be based on the number of wedding guests you are inviting, your budget, your venue preference style and also location for example beach, rural, scenic etc. At Sunshine Weddings Spain, we offer a service where you can view your wedding venues in Spain; one of the team will be happy to meet you and take you on a venue finding tour where planning your wedding in Spain will begin. Your trip can either be a long romantic week-end way, or a fly in fly out over night trip if time is limited. Most of our bridal couples find their dream wedding venue in Spain on the venue finding tour and can’t believe how easy and stress free the planning your wedding in Spain becomes. It really is simple and easy, all you need to do is book a flight and meet your wedding planner in Spain who will take you on a tour. Your wedding planner in Spain will be able to walk you through each venue, and talk to you about what it has to offer in terms of ceremony area, where your dinner and party will be held and also the location to where your guests will be staying with details of how they can enjoy their stay whilst celebrating your dream wedding in Spain. If you need help with finding a wedding venue in Spain then one of the team will be happy to assist you, simply fill in your details on the Contact Form and someone will be in touch shortly – we look forward to hearing all about your dream wedding venue in Spain.